Cardiopulmonary Resuscitation (CPR) is used to circulate blood and oxygen to the heart and brain of a person who is not breathing and does not have a pulse. A combination of chest compressions and rescue breathing are used during CPR, and must be learned from a qualified course to ensure competency. Though CPR Training is a critical tool in saving the life of someone in cardiac arrest, it places added stress on the victim’s body. 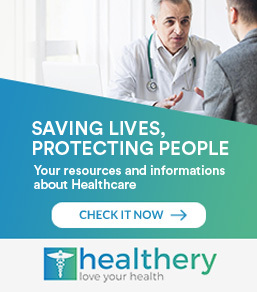 No matter if you’re a healthcare provider with experience in giving CPR, or a novice, performing this technique carries risks and potential complications for the victim. Despite these risks, CPR should never be withheld from someone who needs it. Chest compressions are an essential step in providing CPR. During chest compressions, the rescuer places enough downward force to compress the chest about one inch in depth. Compression forces blood out of the heart and helps circulate it through the body. Because chest compressions are done at a rapid pace and with steady force, the victim’s ribs are at risk for fracture. Fractures are more likely to occur in victims who are small-boned or frail, like the elderly, or for those with conditions that weaken bone. Children, despite having more flexible and forgiving bone structure, are also at risk of rib fracture. Broken ribs may puncture the liver or lungs and the heart may become bruised. Rib fractures can occur even with the most carefully administered chest compressions, and is a common risk associated with CPR. Internal body tissues and organs absorb the energy created during chest compressions. As a result, internal structures, like tendons, muscles, and soft tissues beneath the breast bone and ribs may become damaged during CPR. Being careful to not over-compress the chest during CPR may prevent internal injuries caused by too much downward pressure. CPR creates pressure inside the victim’s body. This pressure can cause the victim’s stomach contents to come up the esophagus, which results in vomiting. Aspiration may occur, which is the absorption of stomach contents into the lungs. A conscious person would clear their airway by spitting out the vomit. However, a person in cardiac arrest has no ability to clear stomach contents from their airway, and fluids may easily slip into the trachea, which leads to the lungs. Aspiration makes it more difficult for rescuers to get adequate oxygen into the lungs, and can also lead to respiratory infections like pneumonia. Rescue breathing is a given to the victim during CPR, which provides air directly into the victim’s lungs. If rescue breaths are delivered too quickly or for too long, the victim may accumulate a buildup of air in the stomach. This causes the stomach to swell and put pressure on the lungs. Too much pressure on the lungs makes air delivery more difficult. Additionally, air in the stomach can lead to vomiting and aspiration. Air in the stomach can be avoided by providing careful administration of rescue breathing during CPR. Despite even the most careful and well-performed CPR, a victim may suffer complications. Focusing on the steps needed to help save the victim’s life is the most important thing. Any complications that occur can be dealt with once CPR has been effective and the victim is revived. 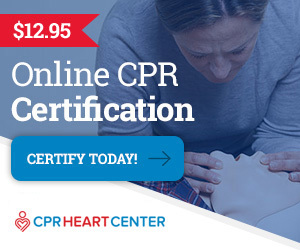 Which Online CPR & First-Aid Class Should I Take?